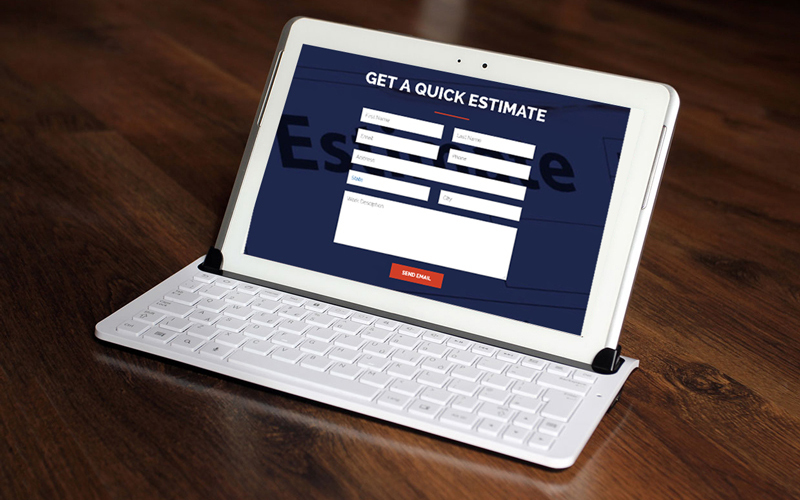 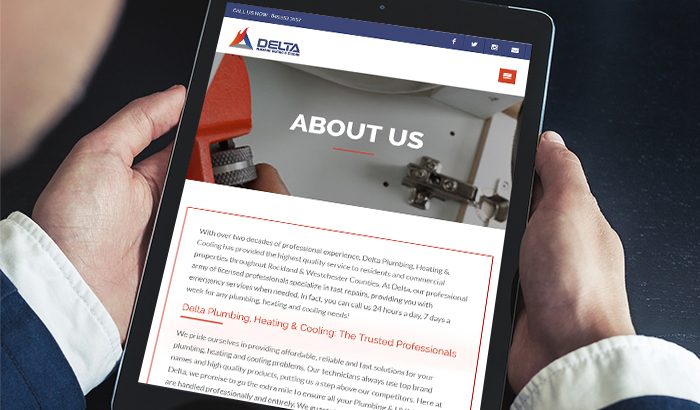 Plumbing contractor website design & brand development. 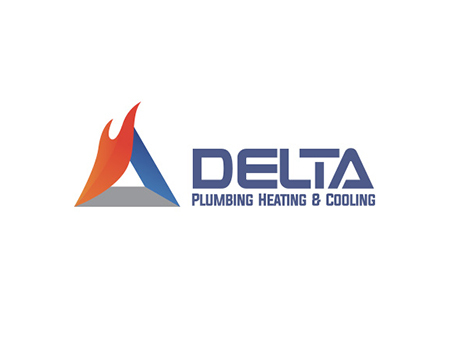 As a small business owner, the principal of Delta Plumbing needed a company who could help him with every aspect of developing a unique brand image. 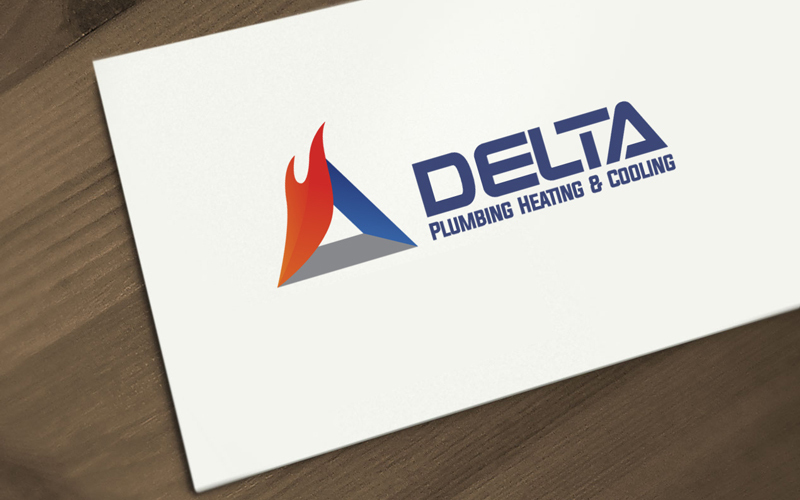 He approached AWD and presented us with the opportunity to assist with logo design, website design, and overall business branding. 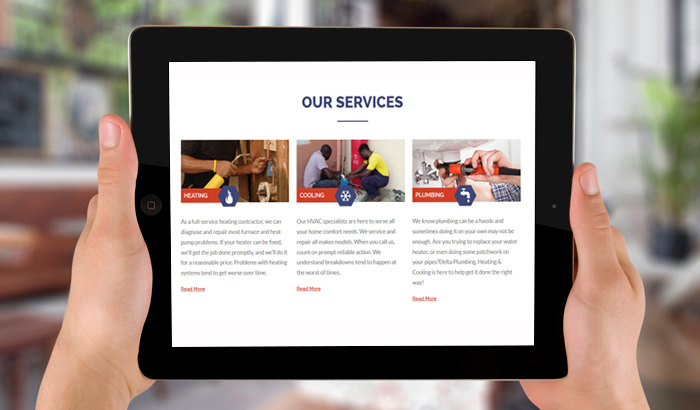 We provided a cost effective, streamlined plan that supported them in improving their overall brand image. 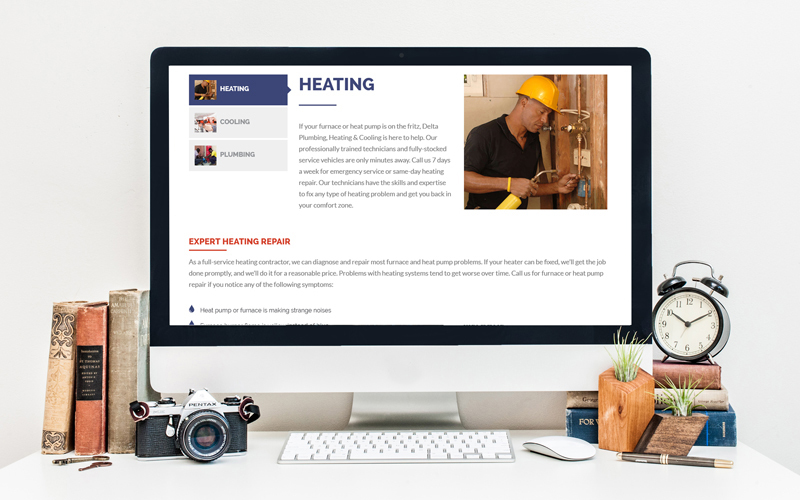 This included the development and implementation of a fully responsive website, logo, marketing and branding materials as well as content development.